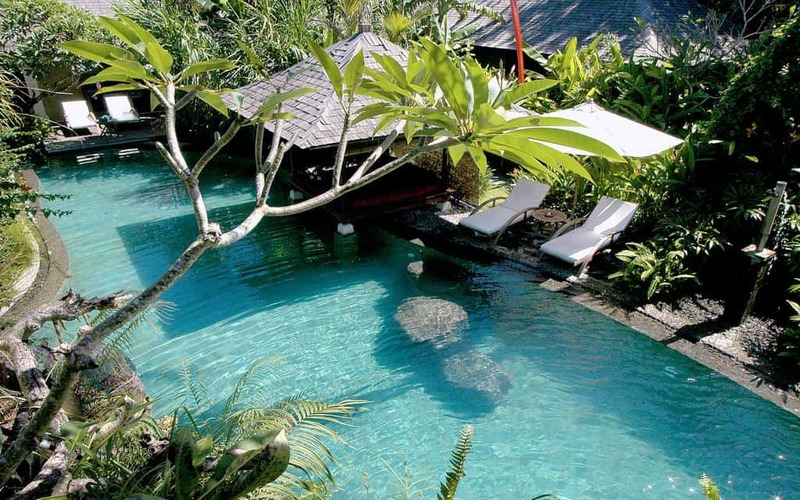 Bali, or Island of the Gods, like it is known, is one of the most stunning islands on the planet. The postcard-perfect landscape of hills and mountains, barren volcanic hillsides, scenic rice terraces, pristine beaches and gorgeous coastline — all provide the quintessential backdrop to the island’s narrative of heaven on earth. The island is home to some of the world’s most elite resorts and most of them are located in Ubud, Seminyak and Nusa Dua. 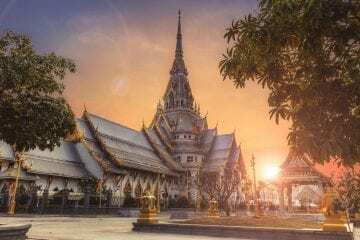 Culture lovers and spa seekers head to Ubud, while beach and surfing enthusiasts hit the urbane beachfront communities of Seminyak and Nusa Dua. 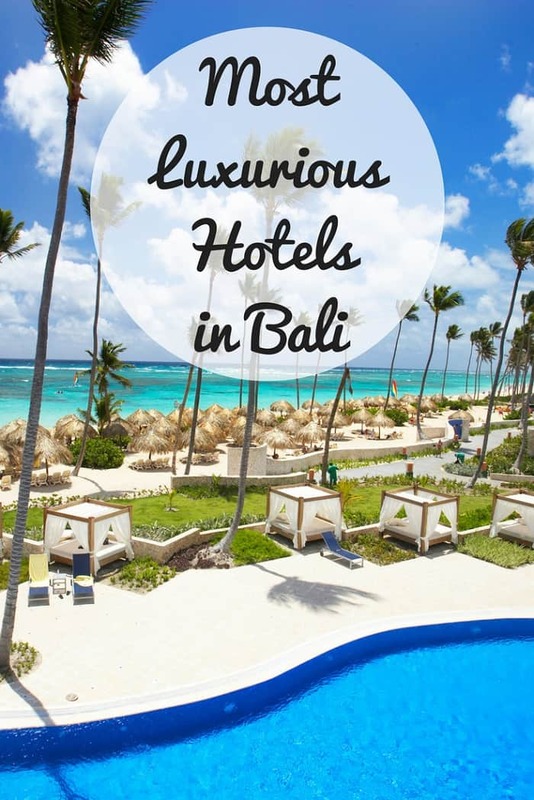 Read on to find out more about the most luxurious hotels on the island. Grab yourself the best last minute travel deals and gear up for your perfect Bali diaries. You should stay in this villa with an absolutely stunning design that you haven’t seen before anywhere in the world. It is only 1-minute walk away from the beach and 15 km away from Taman Ayun Temple. Amenities are included such as a hot tub, free wifi, and a sitting/kitchen area. The beautiful terrace will make your time there unforgettable and a luxurious flat-screen TV will definitely keep you entertained. You even have access to daily continental breakfast offers and different a la carte menus. If you want to prepare some food fast, you have an access to a microwave and if you fancy a tea or a coffee, there is a kettle as well. The bathroom is full of free toiletries and you also have access to a wider offering of wellness facilities such as a hot tub and an indoor pool. It is the best-rated property in Tanban and you definitely won’t regret choosing it… What are you waiting for? Ametis Villa is known to offer all the modern amenities in an authentic Bali setting, making it one of the most unique resorts on the island. The resort is home to 14 guestrooms that offer all the comforts that a vacationer needs. This luxury resort offers world-class facilities including spa, massage and a separate beach. Check out: Best things to do in Uluwatu! 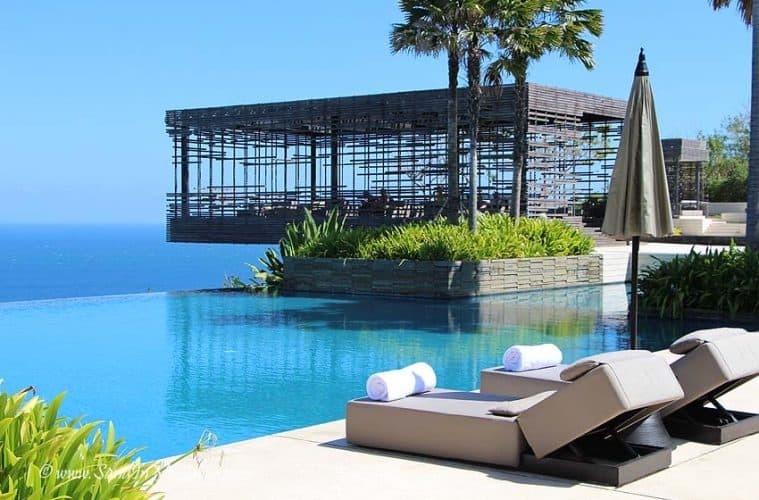 Paradise for photographers, Alila Villas Uluwatu offers one of the best panoramic views in Bali. The reception, restaurants, and spa are housed in lovely bright white block-like buildings with jigsaw-like paths leading the way. Water gardens and a striking wood carved structure just add to the whole charm of the place. The cherry on the cake of this whole landscape is the exquisite blue skies above the beautiful Indian Ocean. The hotel also comprises of a yoga retreat. 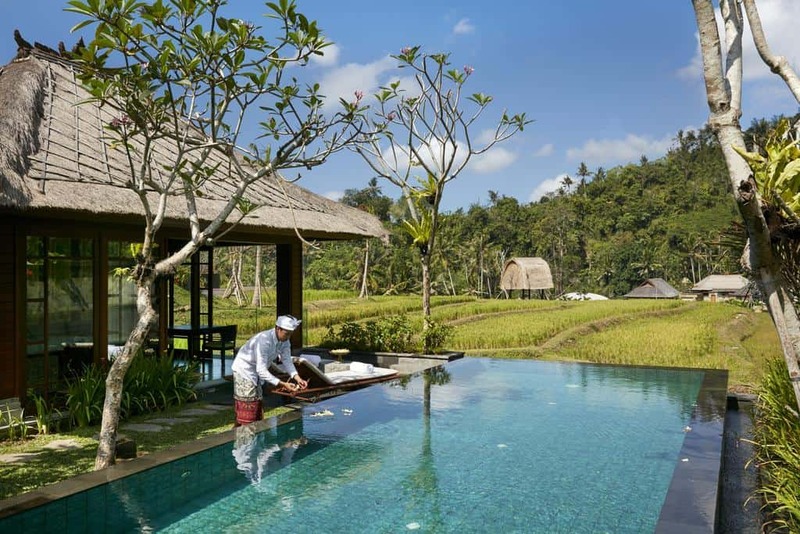 Located in Ubud, the Purist Villas and Spa is a small boutique hotel. The suites here are built in a distinct style with the private villas creating an amazing fusion of superlative conveniences and traditional components from various islands of Indonesia. A few of the other villas are inspired from other islands such as Java and Timor. On the outside, the huts feature beautiful woodcarvings while the interiors are carved with ornate designing. A few of the villas have separate pools with personal Balinese huts that have cushions and mattresses. 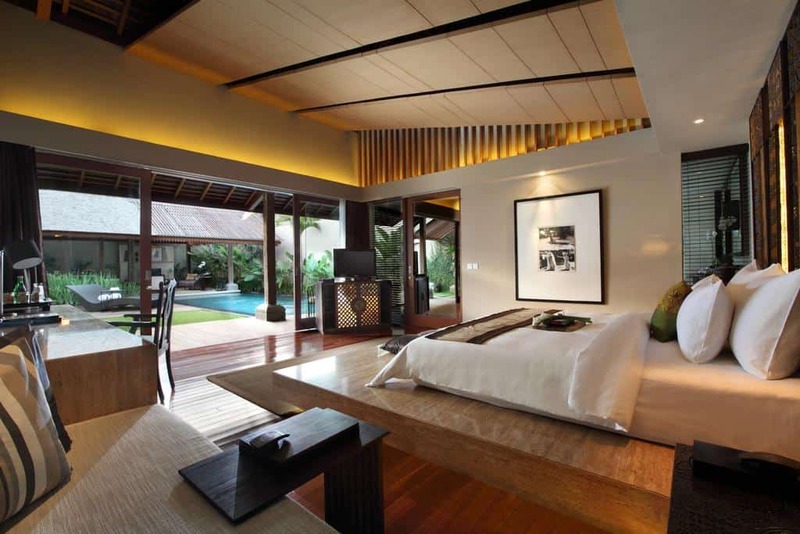 While other villas have sober designing with Balinese artifacts and sandstone floorings. Samaya Bali is luxury hotel which offers rooms equipped with all the contemporary amenities such as free Wi-Fi and air conditioning. Visitors can enjoy different types of massage and beauty therapies at the resort’s exclusive spa and wellness center. The sun-loungers at the garden located at the premises of the resort is just the perfect place for vacationers to lie down and relax. The hotel also features a sauna, steam room and an outdoor pool. The rooms here have large-screen televisions with satellite connection. A healing Center — the Balé — offers some of the most majestic views of the Indian Ocean. 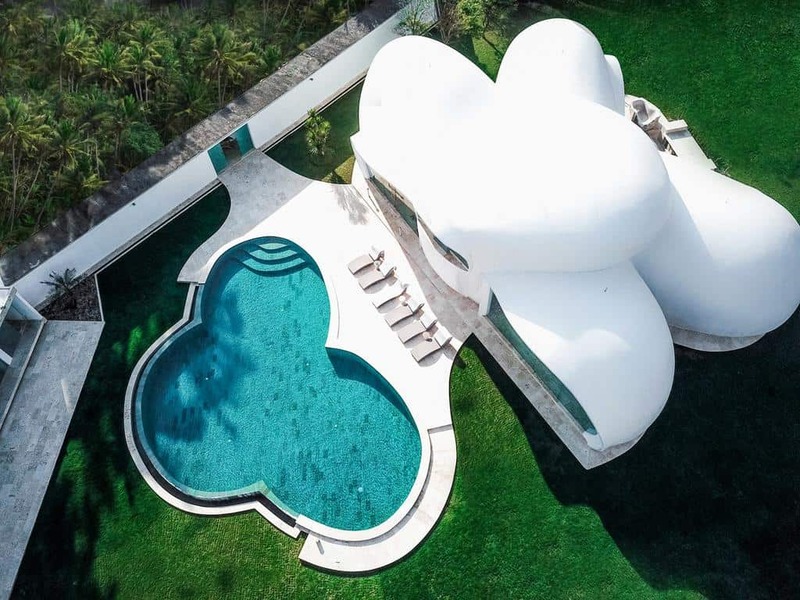 It comprises of about 26 rooms, all with their own separate pools. The resort offers some remarkable spa therapies, health & well-being programs along with a sandy beach. Serenity is what people find at this beautiful tranquil place. The entire facility invokes a sense of peacefulness. Take a stroll through the soothing walkways; from the revitalizing pools to the cooling courtyards. Visitors can indulge in Tai Chi, yoga or opt for something else from an inspiring set of choices from Reiki to customized therapies. Opened in 2010, Pandawas Villas is inspired from one of the greatest Sanskrit religious epics, the Mahabharata. The 4 luxury villa rooms are named after four characters from the text: Nakula, Sahadewa, Bhima, Yudistra. Each of the rooms feature a central lounge, a large washroom and a spacious dressing room. Guests can relish some delectable cuisines at the restaurant. The little ones can enjoy several games and books in the Krishna entertainment room. The name Tanah Gajah has been derived from the Goa Gajah elephant temple located nearby. 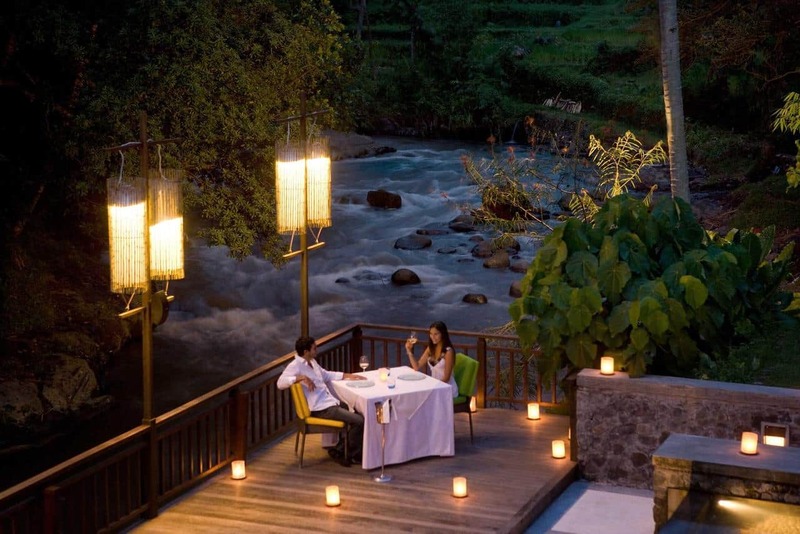 The Chedi Club at Tanah Gajah is situated just a few miles from the city center of Ubud. Expansive lodging is provided offering complete privacy and comfort. Nestled in the picturesque backdrop of Ubud, each villa is lavishly designed and equipped with elegant furniture and creative flair. The Club lounge and restaurant offer scenic views of rice paddies or you take a trip to world famous Bali’s monkey forest! The open-air pavilion offers day bedding in an intimate lounge. Tea and an exotic selection of cocktails are served to the guests. 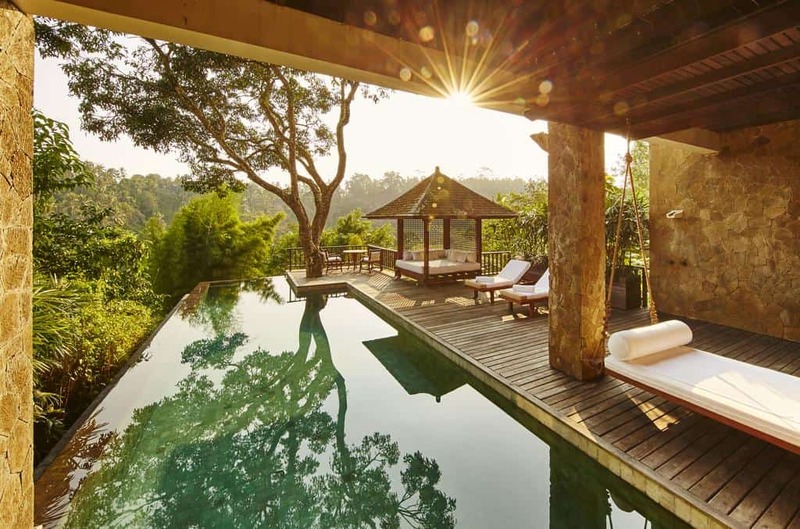 Nestled in a tropical rainforest, Alam Ubud is an expansive resort known to offer comfortable lodging, top-notch conveniences and the renowned Indonesian hospitality. Fresh air with greenery all around, this is the perfect place for travelers to relax and rejuvenate. Right on the beach in Seminyak, is the Samaya Villas, offering its visitors a variety of dining, shopping and entertainment choices. The hotel features about 24 villas. Guests can choose from different aspects of accommodation, including king and queen sized options with separate Jacuzzis or plunge pools. 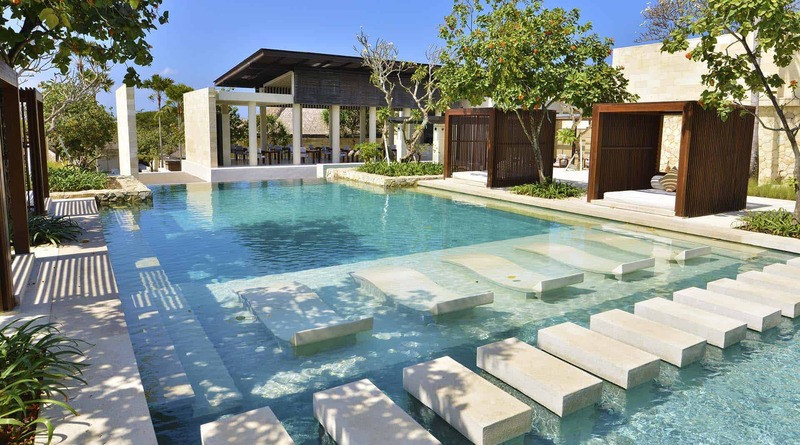 Counted amongst Bali’s best luxury resorts, Komaneka at Bisma has a world-class fitness facility and an outdoor pool. For guests traveling with children, the hotel offers babysitting and various services for the little ones. The rooms are equipped with large screen televisions with satellite and cable connections. Every room is air conditioned and has a mini bar, fridge and a safe. 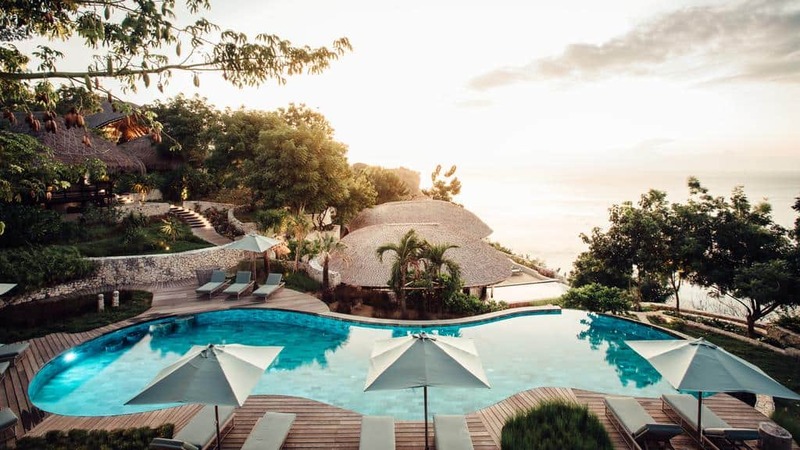 Jamahal Private Resort and Spa is pretty popular among outdoor enthusiasts owing to its close distance to a private beach offering various water sports activities and sunbathing. The hotel offers one, two and three bedroom accommodations. 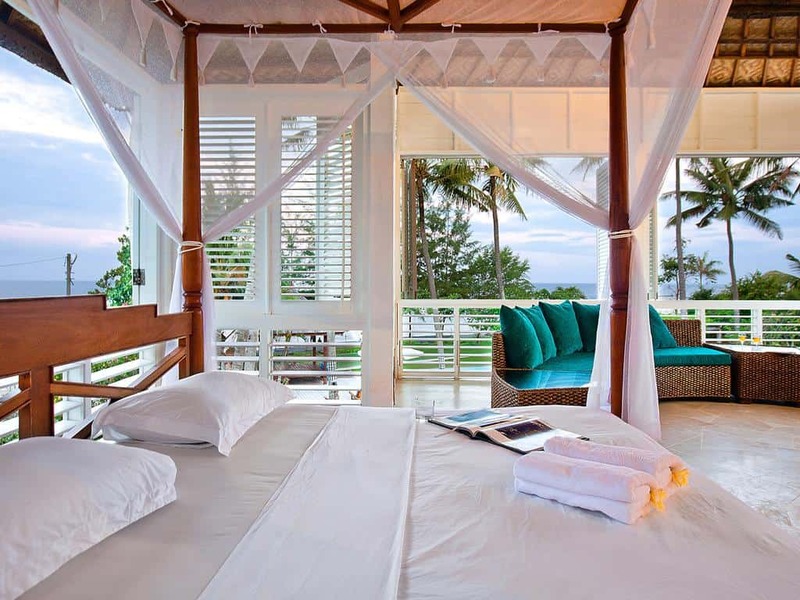 Each villa is furnished with internet access, cable TV and private gardens. A few of the luxury villas have separate swimming pools. Nestled amidst tropical gardens, the hotel offers modern lodging facility. The resort also features an Indonesian Spa center that offers a variety of spa therapies. 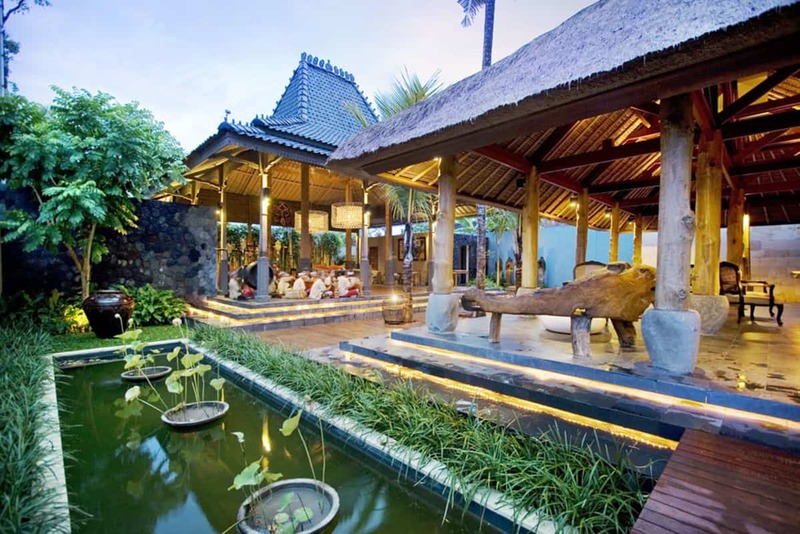 Mandapa is the perfect place for those looking to explore Balinese culture. The resort has its own ancient temple and a rice paddy. 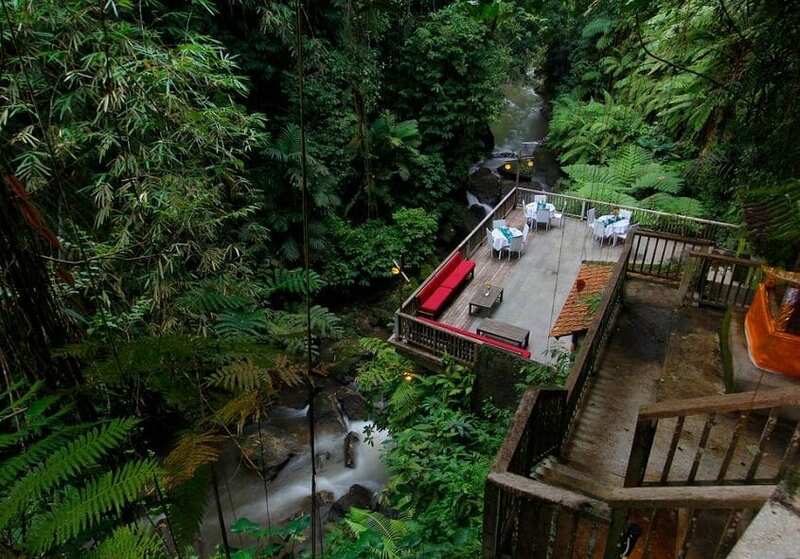 Spanning across 14 acres, Ayung River passes through the facility. The main pool is located at the heart of the hotel offering scenic views of the rice paddies. Guests are served refreshing mocktails, gazpacho soup, fruit skewers and infused face towels. Villas offer the exclusive benefits of under-the-stars-showers and separate tropical gardens. The riverside spa features a separate vitality pool, a yoga room and 6 treatment rooms. One of the world’s most popular destination spas, COMO Shambhala Estate features one of the most spectacular settings. 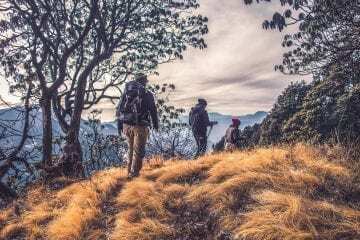 World-class yoga and fitness sessions, splendid sightseeing tours, treks up volcanoes and bike rides through paddy fields; it offers one of the most incredible experiences to the visitors. There are a number of infinity pools along with rivers and waterfalls. The estate also houses several treatment rooms where one can opt for reflexology, acupuncture, hot stone massages and Ayurveda. 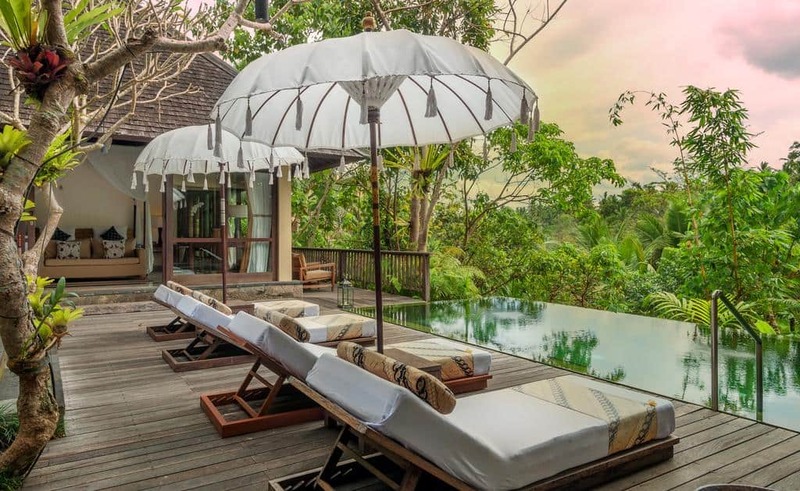 Book a few cheap airline tickets and head to one of the most eco-friendly and luxury hotels in Bali. 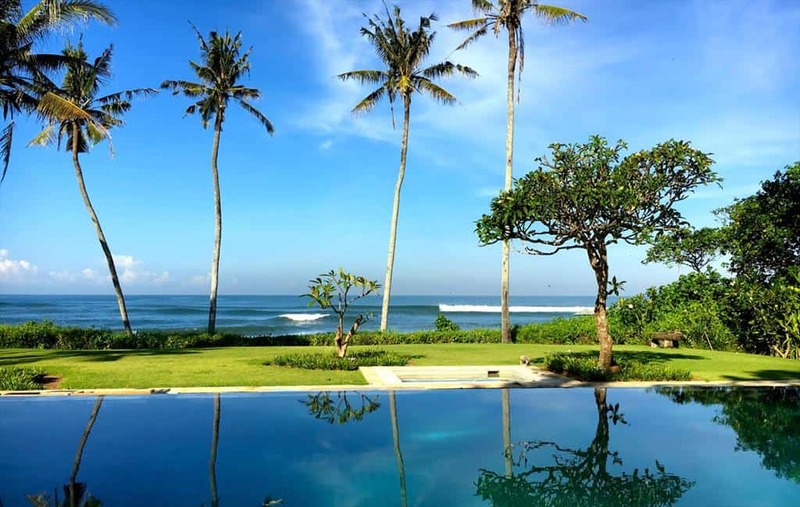 Suarga more than justifies its Sanskrit name, which means “Paradise.” The resort and the restaurant overlook one of the best surfing beaches in Bali, Padang Padang. Beautifully crafted roofs and imposing bamboo architecture give the resort a very unique setting and denotes progressive thinking. At the same time, the structures have been made using traditional artisanal methods of Indonesia, proudly displaying their culture. 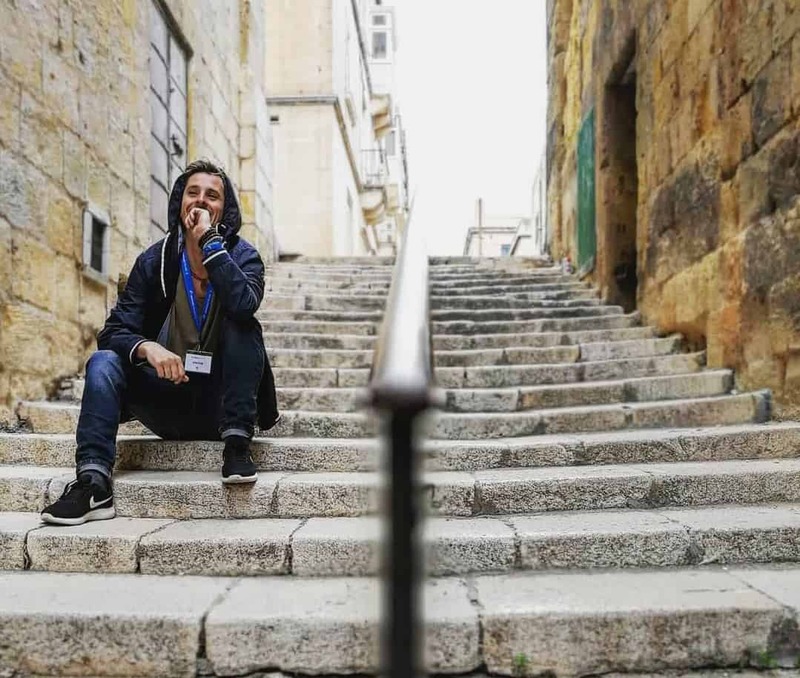 Experience life like never before. 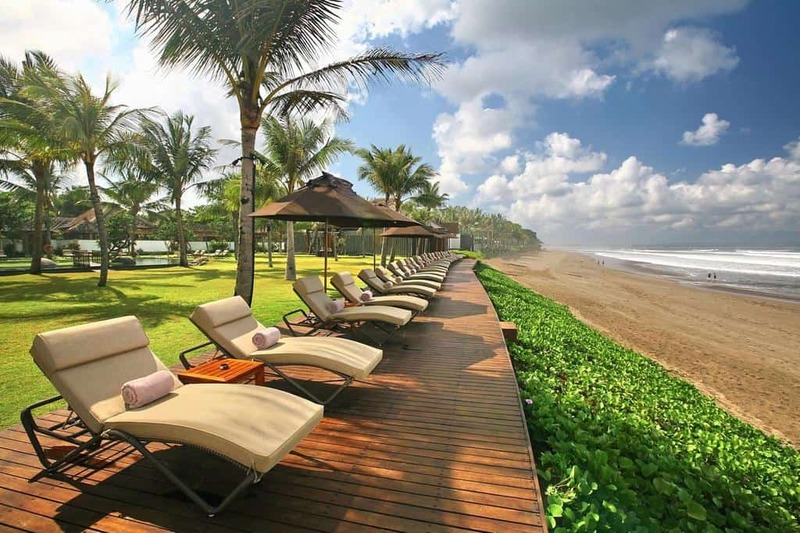 Villa Puri Nirwana is just 1 minute away from the beach with a prime beachfront location on Eastern Bali. You won’t find anything like it in a million years. It is a luxurious plantation style villa with 6 bedrooms. You can spend your time in the fabulous pool and get spoiled by the 20 people full-time staff. The location is really unique being just across Bali Safari and Marine Park. The house is fully equipped for your leisure, that includes a flat screen TV, DVD player, and a stocked kitchen. Relax in the large living areas or on the outdoor sun loungers when you are tired of your air-conditioned bedroom with a view of the sea and the pool. 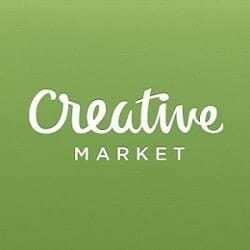 The location is just a 15 min drive from Sukawati Market which is known for its specific traditional art and just a 20 min drive from Ubud. This villa has it all. When bored you can play billiards, prepare a barbecue with your friends or relax with a full body massage. The staff is really helpful and will assist you with all your needs. Don’t miss out on this amazing Villa and book it out while it is still available! This is a true dream villa. 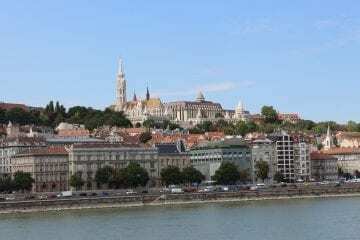 It has a mesmerizing ancient look to it that will leave even the pickiest architecture lovers breathless. It is just a short 2 min walk from the beach. And you have access to the large pool and an outdoor barbecue. Relax on the terrace, find rest in any of the 5 bedrooms, unwind in the living room or snack in the well-equipped kitchen. This Villa truly has it all. The flat screen TV is amazing for watching movies after you have stopped exploring Bali for the day. 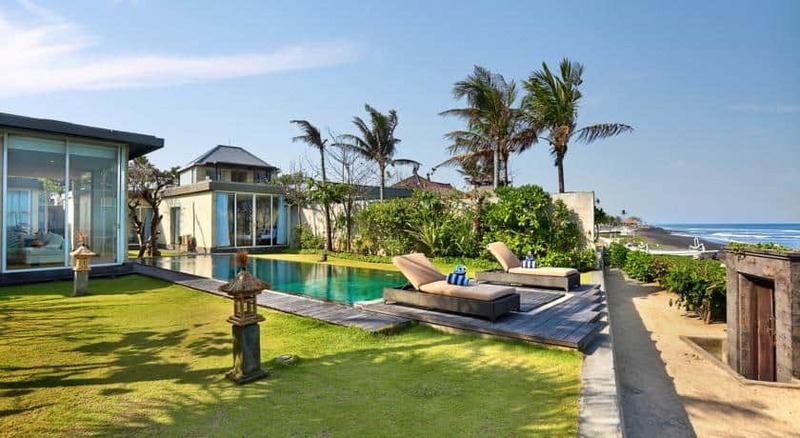 And the villa is conveniently located in Canggu just a 13 min walk from Echo Beach and 1.4 km from Vue Beach Club. We feel in love with the dreamlike essence of this property and we are sure you will too. 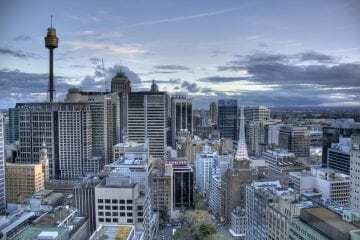 Book it as soon as possible as it is rented out for most of the year! We hope you’ve enjoyed our handpicked collection of the most luxurious hotels in Bali, island of Gods. As you can see above, you can find plenty of amazing places for decent price in Bali. If you’re planning your honeymoon or you enjoy luxury holidays in TOP hotels you can’t go with any of those hotels. 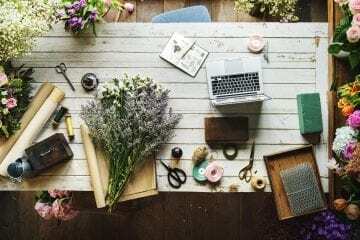 Make sure you read reviews on tripadvisor or booking, just to make sure your expectations will be fulfilled and you won’t face any disappointments.